For most brides, getting to spend time with the bridesmaids is one of the best parts of the wedding week. These are the ride-or-dies, the nearest and dearest. 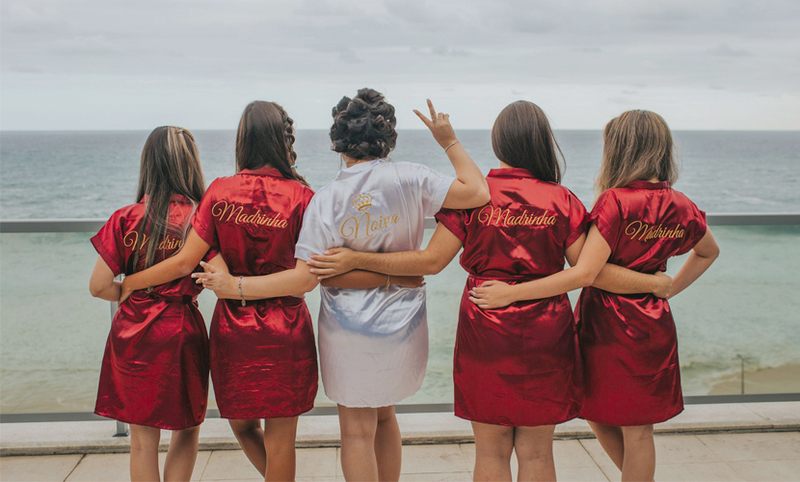 However, there are several common questions that arise with the subject of bridesmaids, and good bridesmaid etiquette can end up falling by the wayside. Let’s take a look at what they are, and what you should do about them. Where there are women, there is often drama. 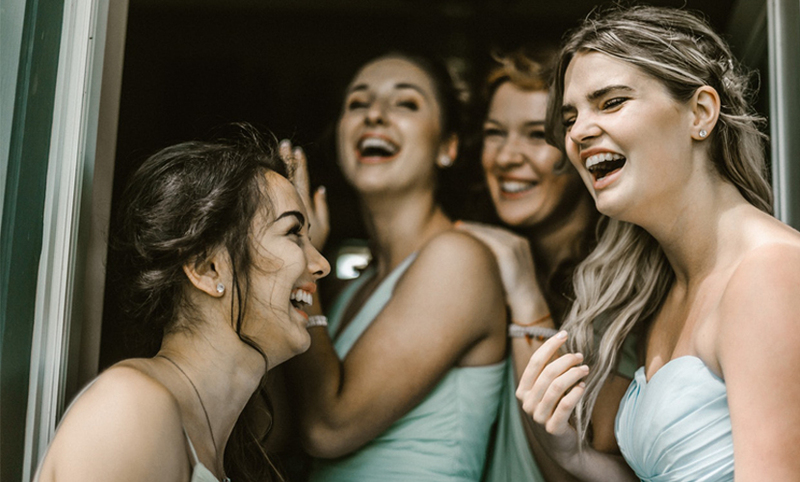 Hopefully the ladies you select for your bridal party will put any differences aside for the sake of a happy wedding, but there are some things you can do to prevent any bad situations. If you are planning to ask close friends or family members to be bridesmaids whom you know have a rocky past, ask yourself if you truly want to test them during your wedding process. If you decide that yes, you absolutely want them both to be in the wedding, this is where bridesmaid etiquette steps in. The best thing to do is to then have a conversation with each of them privately about it. Ask each of them, separately, if they can handle being around the other girl during the wedding events. Make sure that it’s clear that you don’t want any drama. If they both agree, it might be a good idea for the three of you to have brunch or coffee to test the waters. If you’ve chosen bridesmaids who don’t know each other and they don’t get along, you couldn’t have foreseen that. In this situation, the best thing to do is to take them both aside and explain that they are making your wedding events more difficult than they need to be. Request that they take the high road and try to leave the drama at the door. They can fight after your wedding! As a general idea, it’s smart to choose bridesmaids who are low-drama, don’t complain, and who don’t seek too much attention. But hey, we can’t help who we love! Do I Have To Ask My Future Sister-In-Law? No, absolutely not. If you feel close or comfortable enough with your future sister-in-law to invite her into your bridal party, go for it. But if you don’t know her very well, you don’t click, or you simply don’t like her, then don’t feel like you must. If you are feeling pressure from her, your fiancée, or anyone, then have a private talk with whoever is pressuring you. Explain that it’s your choice, and you would rather only have people you want standing with you on your wedding day. You may feel that it’s “good bridesmaid etiquette” to ask her, but you don’t have to. 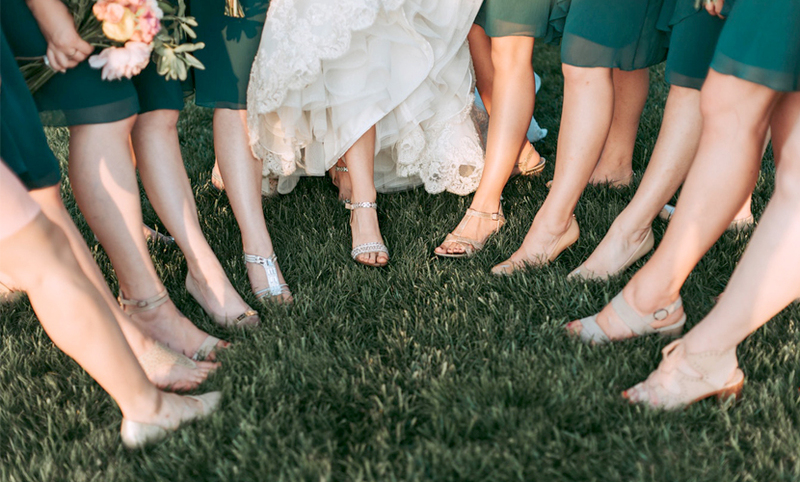 One of the biggest mistakes that brides make is falling in love with a certain bridesmaid dress before truly considering their bridesmaids’ body types. Be sure to keep your bridal party’s body types in mind, and look for styles that will flatter each of their frames. You don’t want anyone to feel uncomfortable on your big day. If your bridesmaids have fairly different body types, consider choosing mix-and-match dress styles, which are very popular. This will allow them to select the best style for their body type while still matching the rest of the bridal party. If you have bridesmaids coming in from out of town, you may be wondering who’s supposed to pay for their accommodations. 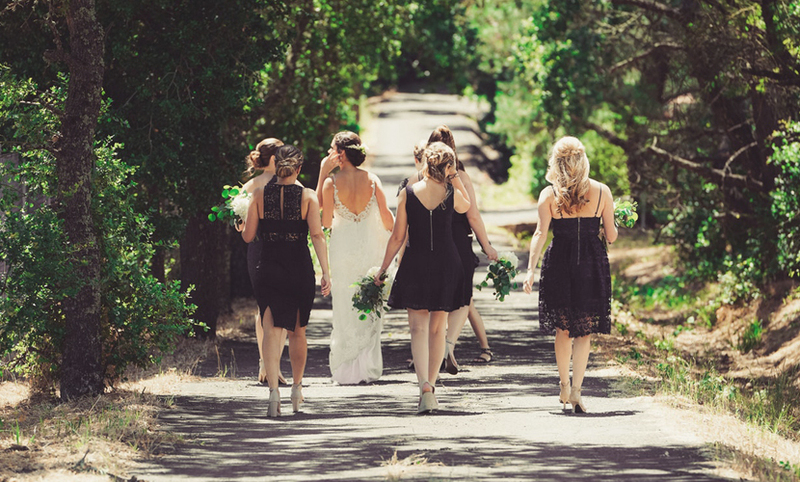 Generally, bridesmaids are responsible for paying for their own travel arrangements and hotel or Air BnB. However, this isn’t as widely known as you may think—so if you ask a friend who lives out of town to be a bridesmaid, make sure she knows all of the costs before she decides to be your bridesmaid. This is classic bridesmaid etiquette. On the other hand, if you really want her in your wedding but she just can’t afford it, consider making her expenses part of your wedding budget. Better yet, see if she can stay with you or another friend while she’s in town. She Asked Me, Do I Ask Her? This one can be tricky, but the bottom line is: you don’t have to ask anyone to be a bridesmaid who you don’t want. Everyone is different and has a different amount of friends. Maybe you simply don’t feel as close to her as she does to you. Or maybe you were close when she got married, but a lot of time has passed and now you’ve drifted a little. Whatever the reasons, don’t feel guilty if you don’t return the favor of being asked to be a bridesmaid. Either leave it alone completely, ask her to be an honorary bridesmaid, or include her in the wedding events, such as the bachelorette party. It’s traditional, and good taste, to give your bridesmaids a gift. Many brides aren’t sure if they’re required to or not, and the answer is no. No one says you have to get your bridesmaids a gift. However, it is very considerate to. It’s just a small thank-you for their agreement to be part of such an important milestone in your life, and for spending their own money to pay for certain things. Every bride chooses something different for her bridesmaids. It can be something for them to wear on the wedding day, such as a necklace, or something fun, like an engraved flask. Many brides give makeup, hairstyling, and/or mani-pedis for the wedding day as the gift. There are also “bridesmaid bags” that can include several things, such as lotions, chocolate, lingerie, vouchers, and makeup. The price range for bridesmaid gifts will vary according to your budget, but anywhere from $25-$100 is generally a good idea. If you’re planning to ask your bridesmaids to pay for their own bridesmaid dress, make sure you’re not asking them to break the bank. They’ll already be spending money on your gifts, the bridal shower, the bachelorette party, and perhaps travel arrangements. This can add up to a lot of expenses, and asking them to buy a $300 bridesmaid dress on top of that may be asking a bit too much. If you have your heart set on a certain bridesmaid dress that’s on the pricey side, consider offering to pay half or some of the cost for each bridesmaid to help out. If you’re afraid to ask a close friend or family member to be a bridesmaid because they will be very pregnant at the time of your wedding, the best thing to do is to simply talk to her and make some decisions. 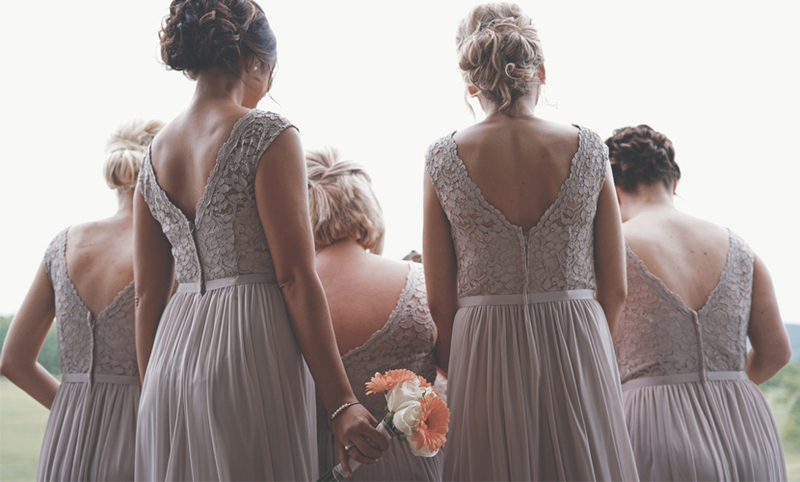 Obviously she won’t know yet exactly how she’ll feel physically on your wedding day, but you can determine together if she may need to sit down during the ceremony—and if so, if it may be better for her to just be an honorary bridesmaid. On the other hand, if she’s been pregnant before, she may have a good gauge on how she thinks she’ll be feeling around the time of your wedding. All of this is good to discuss together so you’re on the same page. You’ll also need to consider her bridesmaid dress for her tummy. Go over possibilities together, and figure it out from there. Make sure you’re both comfortable with the decisions that are made. Remember to relax and not become overwhelmed or stressed when dealing with sensitive bridesmaid etiquette. It’s your wedding, and no matter where you’re feeling pressure from, it’s important to enjoy the planning process. If you’re currently in the middle of wedding planning and you’re looking for a beautiful wedding venue in Los Angeles, please check out our photo gallery or contact us at Vatican Banquet Hall to ask any questions you may have. We would love to talk about hosting your wedding!